Support Hawaii's environment & economy by empowering local farmers producing organic, responsibly grown crops. At Hawaiian Ola we’re passionate about making products from responsibly grown Hawaiian ingredients. Our noni is grown in the Puna region of Hawaiʻi, our sea salt is harvested from the coast of Molokaʻi, our ginger is grown on Kauaʻi, and our honey is made by hardworking Big Island bees. Each of our ingredients is certified organic and GMO-Free. 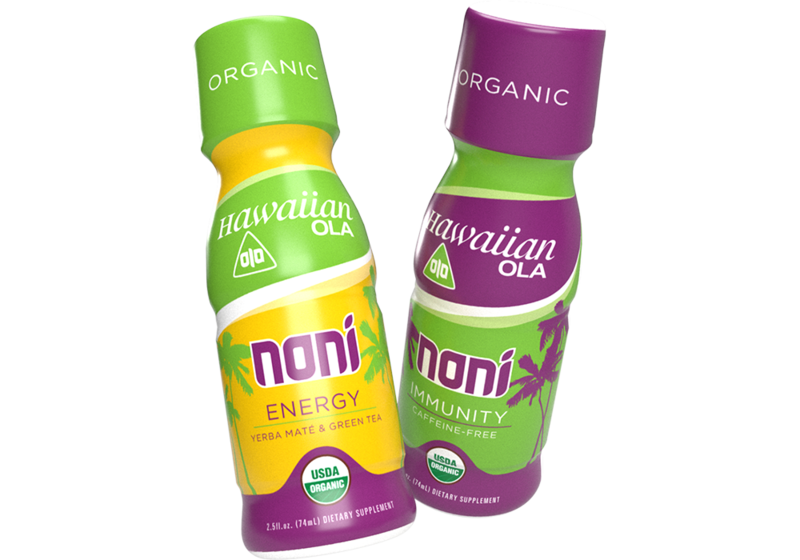 Purchasing Ola beverages supports the health of Hawaiʻi's farmlands for future generations. Hawaiian Ola’s community is made of a diverse group of dedicated people with a common vision for a healthy Hawaii and achieving sustainable food sovereignty throughout the islands. The community includes runners, surfers, and professional fishers as well as traditional farmers, food producers, artists, and educators. The network of caring people who share our vision for responsible agriculture in Hawaii inspire us daily with their hard work and commitment. Hawaiian Ola is proud to be one of Hawaii's growing community of certified B Corporations. B Corps are for-profit companies certified by the nonprofit B Lab to meet rigorous standards of social and environmental performance, accountability, and transparency. Learn more about why becoming a B Corp was important to Hawaiian Ola.